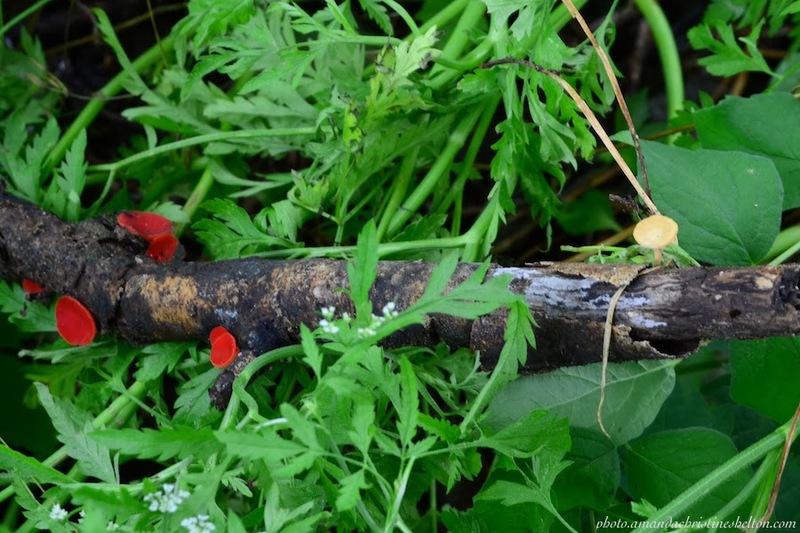 scarlet cup fungi (left) on a downed tree branch under an eastern Redbud, Stinchcomb Wildlife Refuge, Oklahoma. the plants around it are hemlock and other wild greens, many of which are poisonous although others including mushrooms are edible for the local deer population that frequent here. The scarlet cups are claimed to also be medicinal. This is something new I've been working on a little bit. I ended up putting a lot of frustration about other things into it. in fact it used to be something else, then something else... yay frustrating stuff. I actually don't mind if it becomes one of the oddities that stays with me forever, but I am thinking of exploring other ways to utilize sculpted mediums on traditionally wall-hung painted works. It's 12x12 acrylic and polymer clay and string and paper on wood. the sculpted pieces are just a sort of vignette around the little painted area, I took a lot of pictures but don't really have amazing ones of the piece as a whole yet... although I do really like how some of the photographs of the details look on their own... they remind me of the fantasy murals I have painted in the past. the focus of the photos sets a specific foreground vignette and inside image that is almost ghostly in some of the photos. I have been asked when sharing this piece, if I used any of my actual spore prints in creating it... I did not, but the fungi are based on cup and gilled/oyster varieties with other characteristics that have been mixed around (such as gills and rhizomorphs), and the obelisk-like statues are inspiration from shrines illustrated in animation art forms. 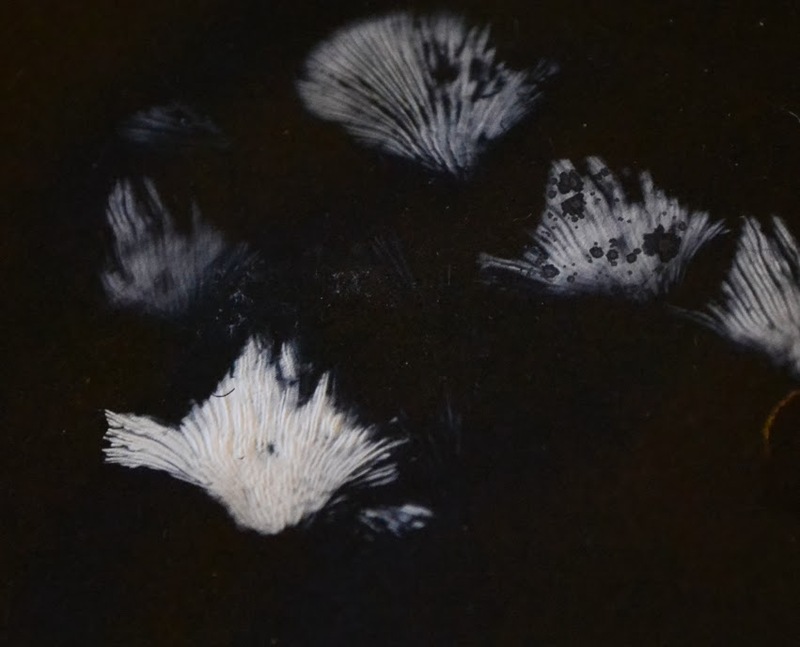 spore print of S. commune fungus (common split gill) I took this spore print in spring 2013. For more actual fungi photos, check out my photography site. Like "Spore Ceremony"? 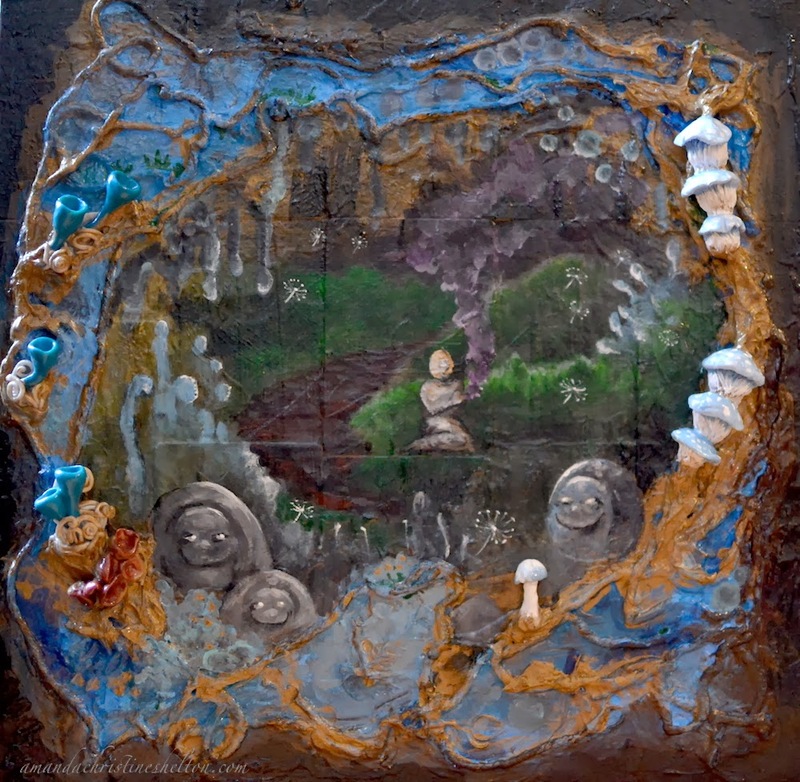 send an email to inquire on the fantasy detail photo prints (some shown in this blog) or the original mixed media piece.